The credit of introducing as well as promoting the science and practice of Yoga- or Rajayoga to be more exact- to the West, America at the time, goes entirely to Swami Vivekananda. 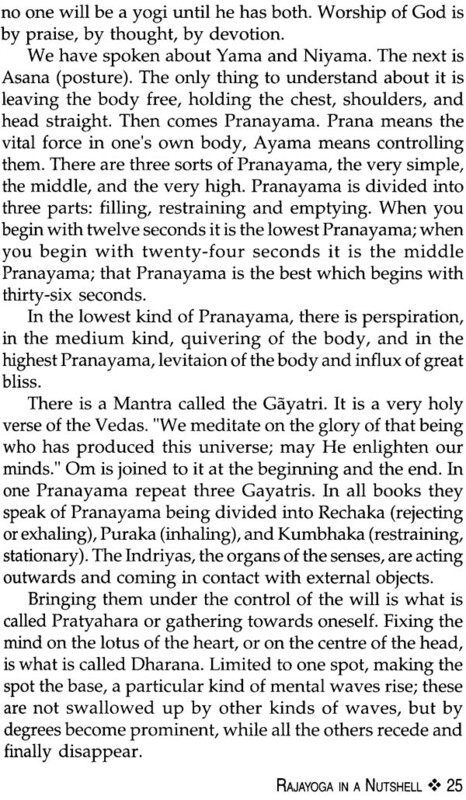 Along with the Universalist Indian Philosophy of Advaita or Vedanta, he presented to them Rajayoga as its second line management ideology, which helped in the actual attainment of the Brahman, or Godhead, however difficult it may be, was enthusiastically welcomed by his foreign disciples. The acquiring of good health was an added attraction. He therefore took regular classes. Performed and lectured on the basic theories. He also translated the famous yoga Sutra of Patanjali which propounded the complete eight- part practice in some detail. Needless to say, that all this was given to them in easy-to- understand English and in an idiom which suited them. 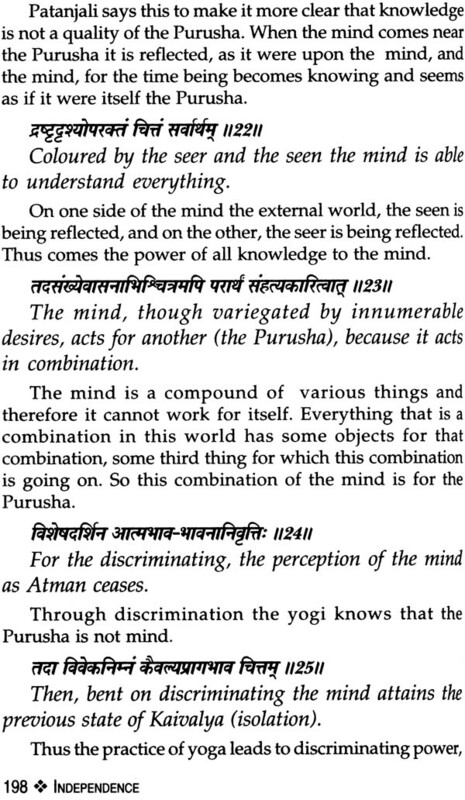 Vivekananda Presented Rajayoga as a Science and not as a mish-mash of complicated philosophy. He compared its concepts with modern scientific theories, giving them an entirely different shape and look. 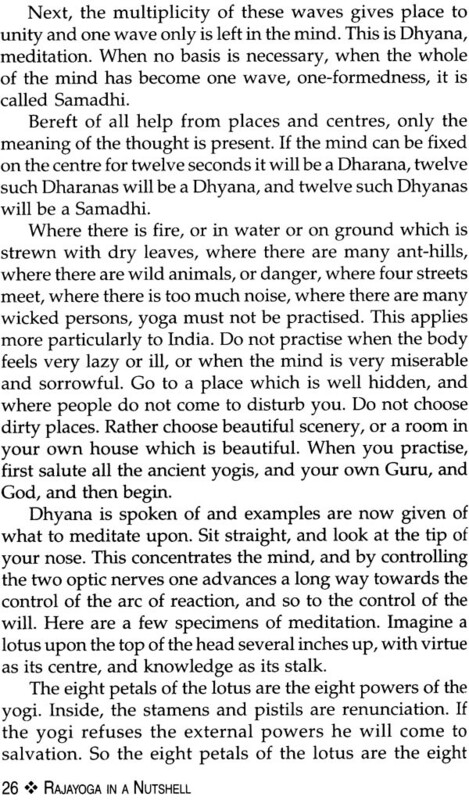 This in one reason why Yoga spread in the West with such great speed. After him Swami Yogananda, lyengar, and others took up the cause and gave it the shape of an all consuming tremendous movement- which it is today. 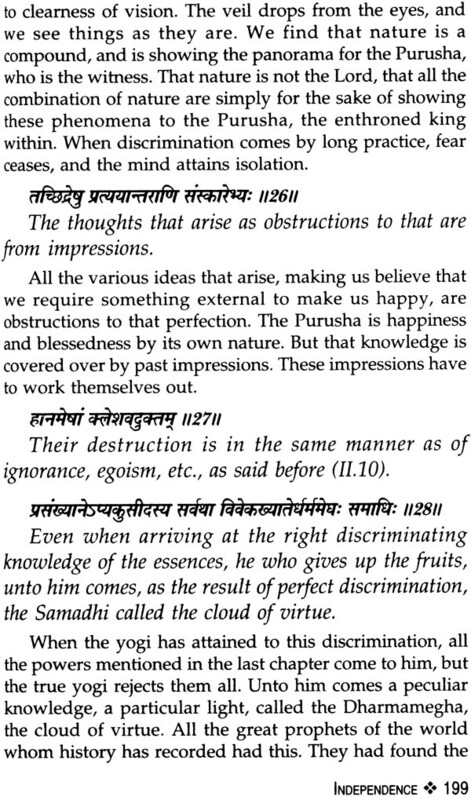 It is noteworthy - though sufficient attention has not been paid to it so far- that Vivekananda was working to give the whole philosophy and practice of Advaita and Yoga the organised shape and structure of a modern science. But he could not do so be cause of his very early demise -a most unfortunate event which enrages the present writer no end- it seems to him that gods do not support the really good and great people, why? 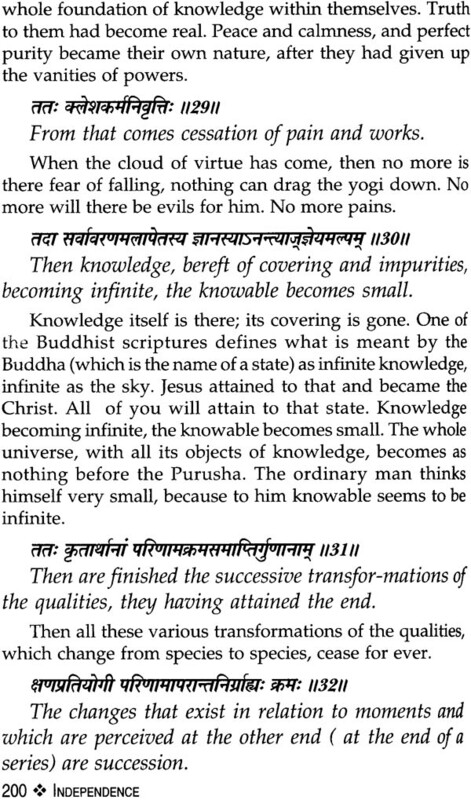 Sister Nivedita in her Master's, but have been ignored perhaps deliberately, throws definite and detailed light over this aspect of Swamiji's work. Could all this work be taken up now? It is therefore in the fitness of things that Vivekananda's work on this subject is being published in a properly organised form, with suitable emphases wherever required. It is easily the most authentic, complete and scientifically presented work on the subject in the plethora of books an Yoga coming out every day. 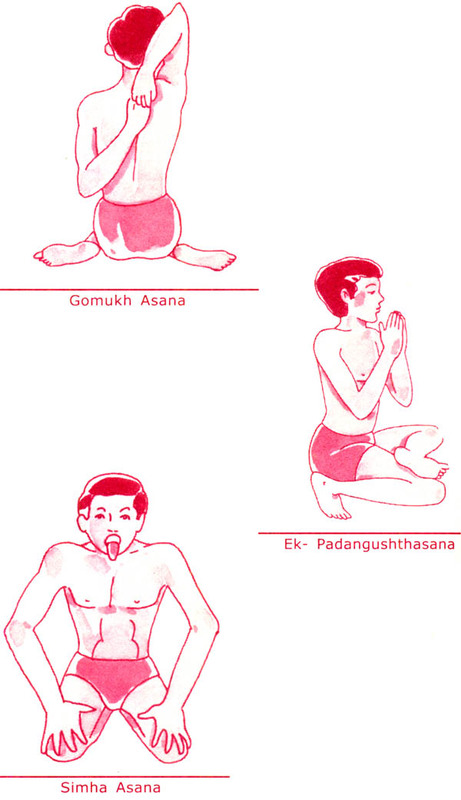 Every Yoga enthusiast should give it a look in addition to whatever he takes recourse to in his practices. 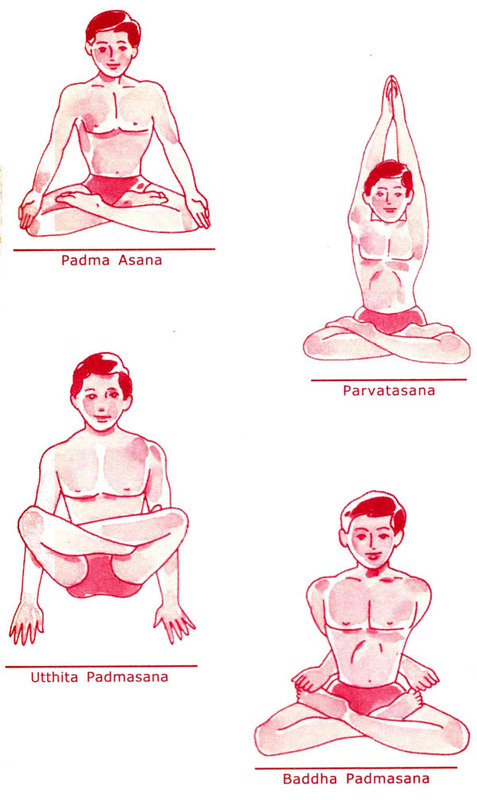 Yoga is presently spreading like fire in America as well as Europe. Hundreds of centers are being run and gurus of all hues coming up. A few are trying to patent the ancient science and. No wonder, the acquisitive Western culture grabbers. It is well known that the first presenter of Indian Culture in the West was Swami Vivekananda, who took the world by storm while appearing at the Parliament of Religions in Chicago in 1893. He became a rage in America, delivering lectures and talks on various aspects of Indian Philosophy and culture. This included his exposition in quite some detail of the theory and practice of Rajayoga- or Yoga as Popularly known-, which turned out to be a matter of great attraction to the enlightened section of Americans. 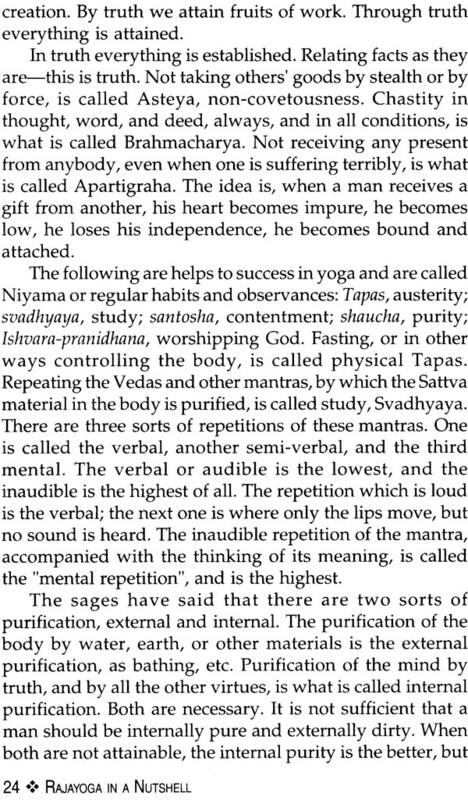 He also translated the chief classic of Rajayoga, the Yoga Sutra of Patanjali, in simple English for the benefit of his students. The great start has during the course of time turned into an all consuming worldwide movement, benefiting everybody. 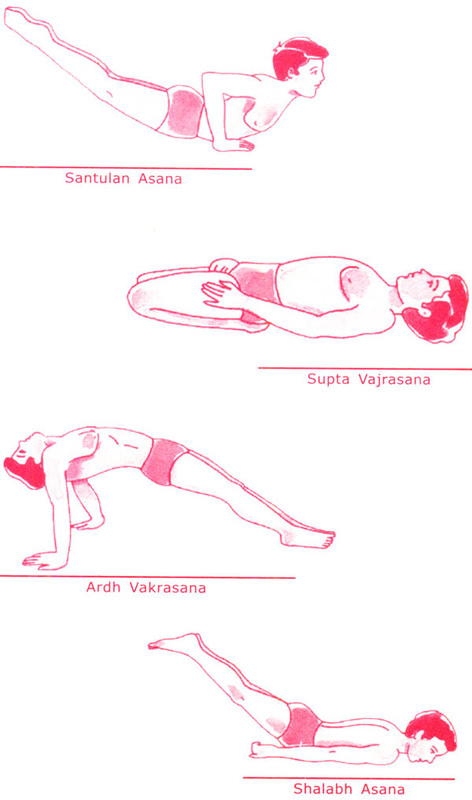 The book collects all the material spoken or written by the veteran on the subject, illustrated with asanas to make it more useful, and as such it holds the most significant place in the growing pile of books on Yoga. 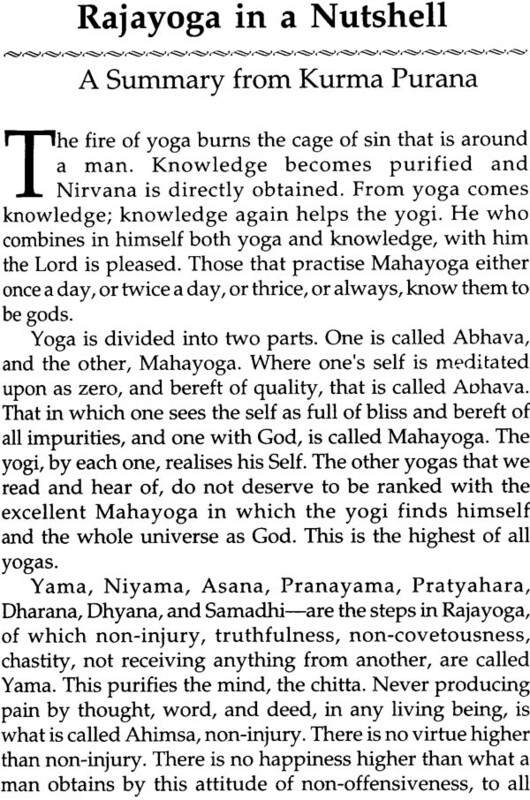 It is authentic, complete and the pioneer work on the subject, which every Yoga enthusiast should read. INDIA BOOK VARSITY provides the best of philosophy, religion, arts and history of the most ancient, essentially thought- oriented, secular-democratic, federation now spread all over the world, looking for their roots, identity and seeking authentic knowledge about it. This is in part revival of already published works of great quality by Western Scholars over a century ago, thoroughly edited, keeping in view the mindset and requirements of the present-day fast progressing youth, and the globalisation of life in all its aspects. The Series- Editor, Mahendra Kulasrestha, has been the first editor of the well-known Orient Paperbacks and has been associated with the Bharatiya Vidya Bhawan, Mumbai, V. Vedic Research Inst., Hoshiarpur, Pb. ; Vision Books; Hind Pocket Books; Rajpal and Sons; Indira Gandhi Memorial Trust; HUDCO; DDA (Slum Wing); SEWA Delhi, etc. He has planned and edited the useful Public Concerns Series, and been Consultant Editor of International Books Update. His books include: Japan-An Enigma, An Anthology of Japanese literature in Hindi, Tagore Centenary Volume, The Genius of Tagore, Aspects of Indian Culture, World Poetry Number of a Hindi Literary Magazine, An Anthology of Hindi Short Stories, Existence and Other Poems ( English translations of Amrita Pritam's Poems), A study of 14 Western Philosophers in Hindi,etc.